The Alpari Bonus Program is continuing to further strive for perfection! We are delighted to announce that you can now make deposits to your account quickly and simply using transfers via China UnionPay. Thanks to our unique Top Portfolio Manager contest, which we are relaunching on 1st October, 2015, even the most novice of investors has the ability to try out managing funds and receive a cash prize of up to 1,000 USD in doing so. Elena Belik came fourth in our Formula FX contest with a 524% return in just a week. This isn’t the first time that a woman has broken into our rating of Forex traders. From 21st September, 2015, the minimum deposit to create a public PAMM Portfolio will be reduced. The Alpari Bonus Program is continuing to gather pace. 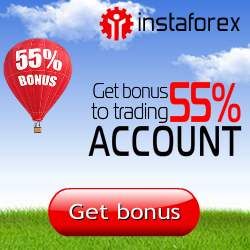 Now bonus points can be acquired by trading binary options on alpari.binary accounts. You can now access myAlpari in a new language! Alpari’s trading turnover for August 2015 stood at $87.5 billion. The results of the August round of our Successful Investor contest are in. We are delighted to announce that the winner of the round was Ilya Kanonirov from Novosibirsk.